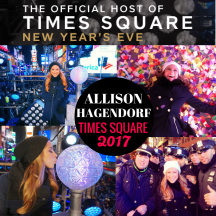 Countdown to 2017 With Me! I am Honored to be The Official Host of Times Square New Year’s Eve! Only TWO Weeks Away Until I Countdown NYE in Times Square.